Who wouldn't be happy to see a big chocolate cake with candles on their birthday? This card will fit everyone perfectly because we all love chocolate cake. 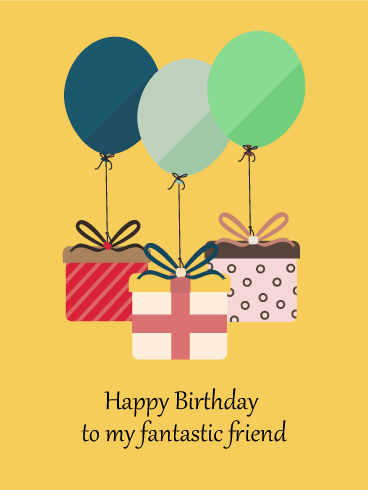 Let's send this card to wish someone a special day. Birthdays are the perfect chance to tell your friend how awesome you think they are! 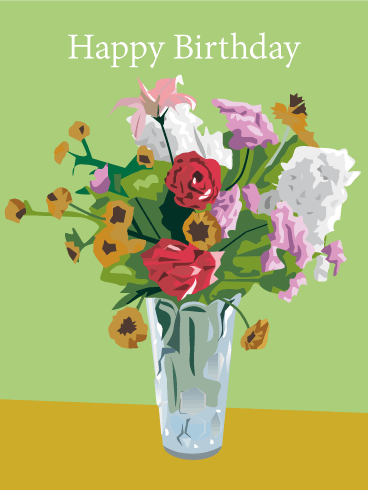 This artistic birthday card is clever and sweet. Birthday presents float to the recipient on blue and green balloons. 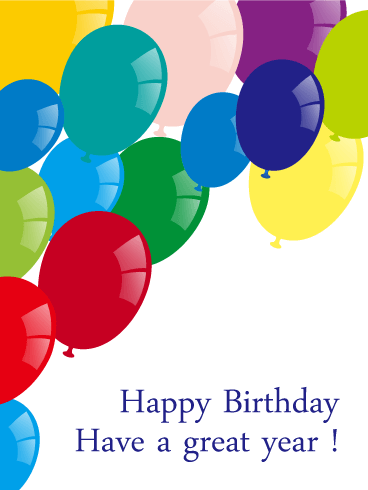 This birthday card has a sleek, minimalist design that makes the message really pop! 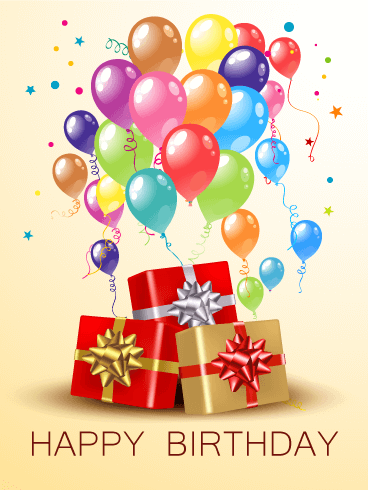 It's time to celebrate that special birthday, and who wouldn’t love to see this grand display of festive, colorful balloons floating above those beautifully-wrapped presents?! The birthday boy or girl sure will! And they are sure to love it even more coming from YOU. 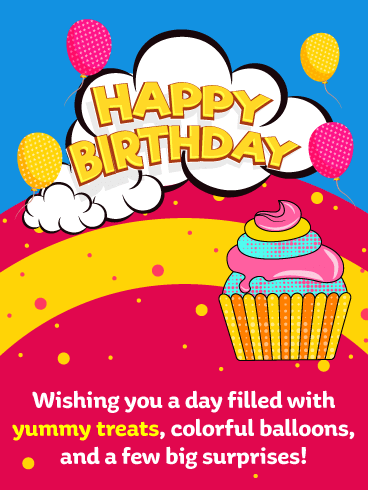 Shimmering balloons and colorful confetti decorate this fun birthday card. 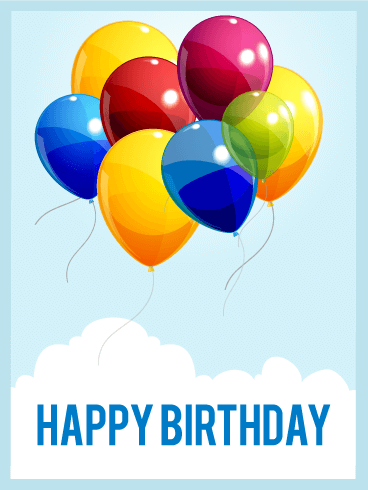 The bright balloons fill the edges while the simple message fills the inside of this card. 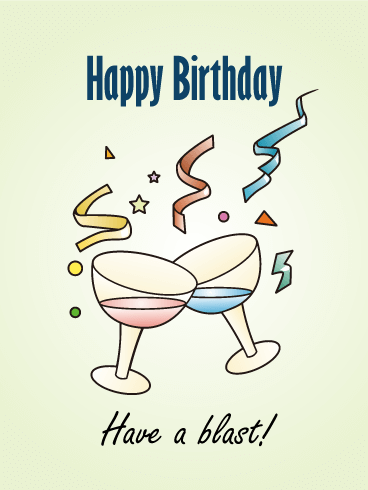 Wish someone a happy birthday with this glitzy birthday card that is sure to delight. 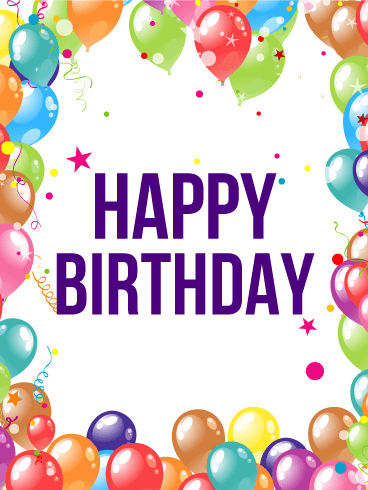 Birthdays are often the best excuse to throw a party, gathering family and friends from near and far for laughter and merriment in celebration of a special day. 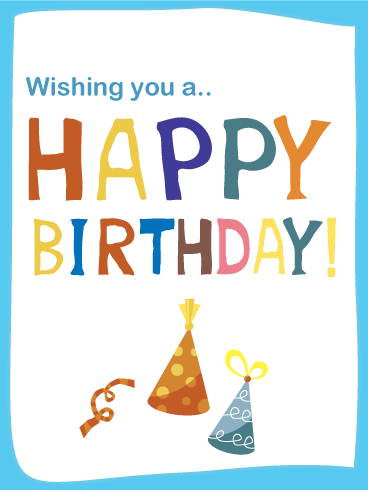 And this festive birthday card will remind the birthday boy or girl that it's their day…so they should have a blast! There are certain things every celebration needs. 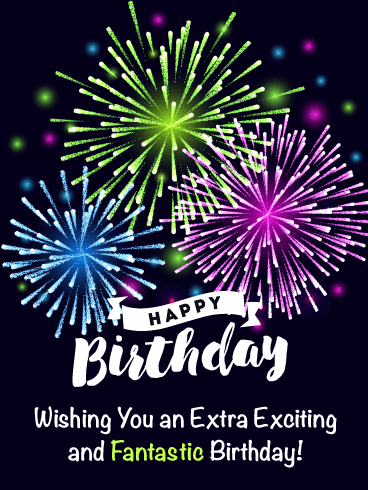 And a celebration, especially a birthday celebration, is just somehow not complete without birthday hats, streamers, and a HAPPY BIRTHDAY wish all spelled out in big, colorful letters. And this card has it all! Shiny birthday balloons are always a favorite! They are just so festive and cheerful. 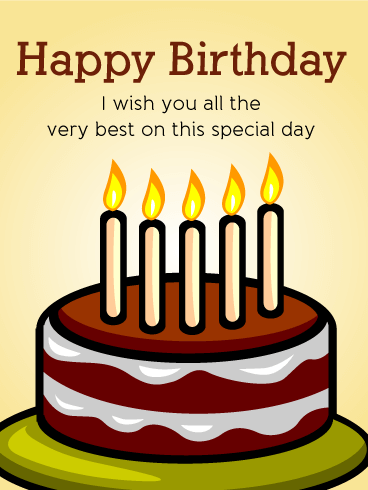 You can send this classic birthday card to anyone, and wish them a great year ahead. 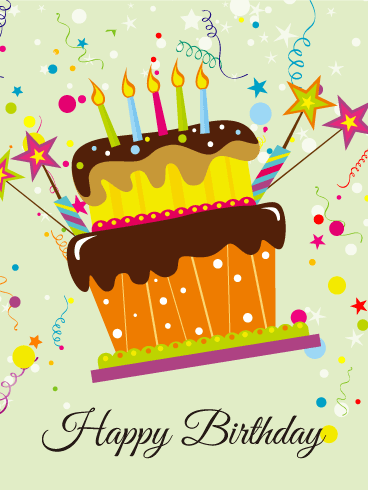 Saying "Happy Birthday" has never been easier, or more fun! Another year older and another reason to celebrate! 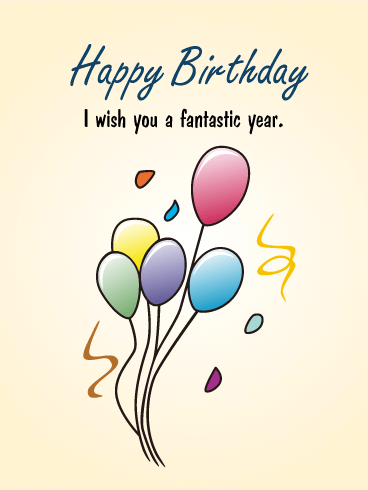 Wish someone a fantastic year ahead with this charming birthday card. Celebrate life and new possibilities with free floating balloons and a splash of confetti. The message is simple and sincere - make it a great year!